Hello Friends! I hope that your Thanksgiving Vacation was wonderful! Mine was full of fun times with my family. I can't believe all of the fun things we crammed into just a few short days. I'll be posting about a ton of stuff over the next few weeks. 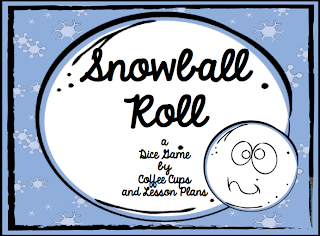 My class finished up a huge project on Ancient Egypt that I want to share with you, and I also got a chance to cross a fun activity off of my bucket list. 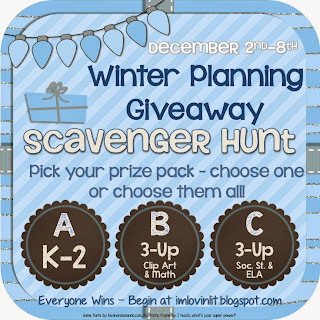 But before I get into that, first up is an awesome Giveaway that my friend Erin at I'm Lovin Lit has organized. 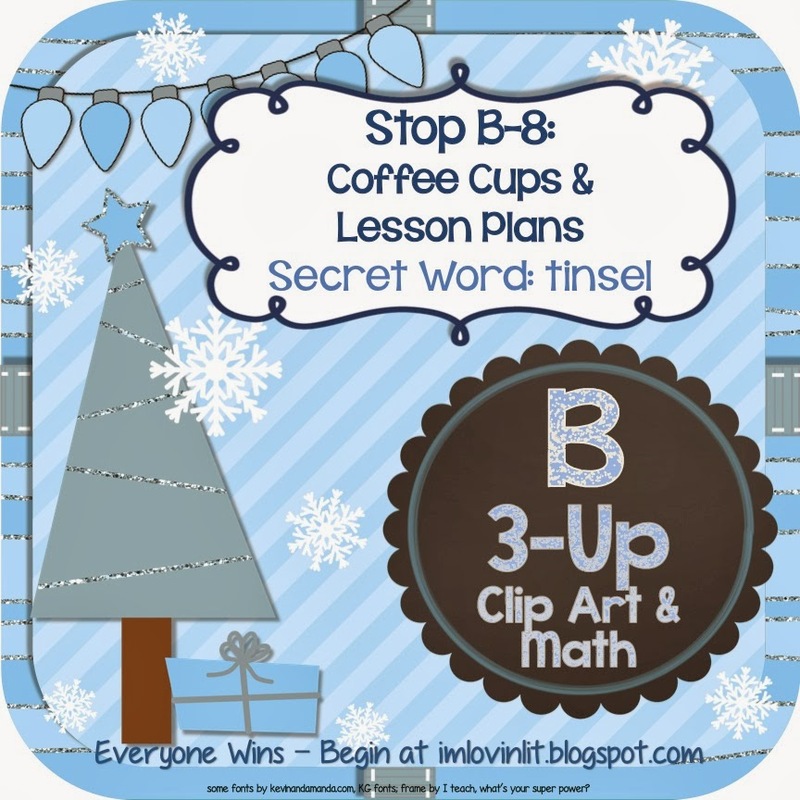 Follow the blog hop and gather all of the secret words for the opportunity to get a ton of great prizes! EVERYBODY WINS! You can't beat that! 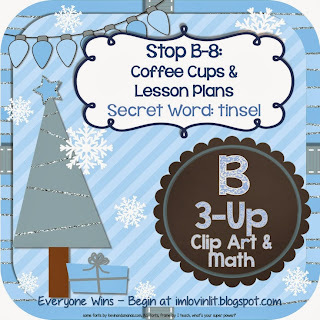 For this part of the Scavenger Hunt, I'd love for you to Follow me on Bloglovin or my TpT store for my latest updates. and check out my page about Messare Clips as well through the PAGES at the top. They are part of this awesome GIVEAWAY too, so make sure you visit the page to get their secret code! This week Monday and Tuesday don't forget to check out the awesome TpT deals for Cyber Monday! My store is 20% off plus you get an extra 10% with the code CYBER. 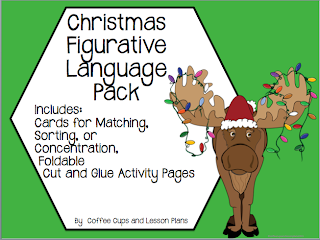 I just posted my Christmas Figurative Language Set. I'm using it in my classroom for Word Work practice over the next few weeks. My class is getting really good at identifying the basics for figurative language, and I'm almost ready to start teaching the other imagery pieces. Besides, who could resist that tangles moose! Thanks for stopping by! Enjoy the Giveaway!